With Father's Day around the corner, it's time to celebrate Dads and all their hard work, love and support they give their families each day! My husband is the main coffee drinker in our house and he loves trying all different strengths, flavors and types. You should see the fancy coffee machines that we have at our house!! We take coffee seriously. I was very excited about using trying the MAX double caffeinated blend from Realtree. With my husband being the first to rise and last to get to bed due to his job (being a principal is a 24/7 job at his school), I had a feeling the extra caffeine boost would help him on the days he is dragging versus him drinking extra cups a coffee a day to achieve the same boost! 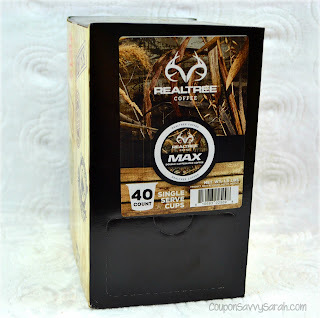 Realtree MAX definitely garnered four thumbs up from the two of us! I tend to be more of a light-medium roast kind of gal because some stronger blends taste bitter to me but not the MAX blend. It is very smooth and drinkable with that extra caffeinated kick. It has definitely kept us going lately as we have been burning the candle at both ends between our respective jobs and working on my father's house and also on settling his estate (another job within itself). If you are a coffee lover, MAX is a must-try blend. Don't let double the caffeine scare you off - this coffee will be a morning and afternoon lifesaver! Compatible with all Keurig machines - Including new 2.0 brewers. Rich tasting coffees--inspired by the gear we love most. Brew up a cup and get out there. You can purchase Realtree Coffee products directly from their Amazon storefront along with all their other terrific hot beverages and accessories. Don't forget to follow them on social media as well - Facebook, Twitter and Instagram! 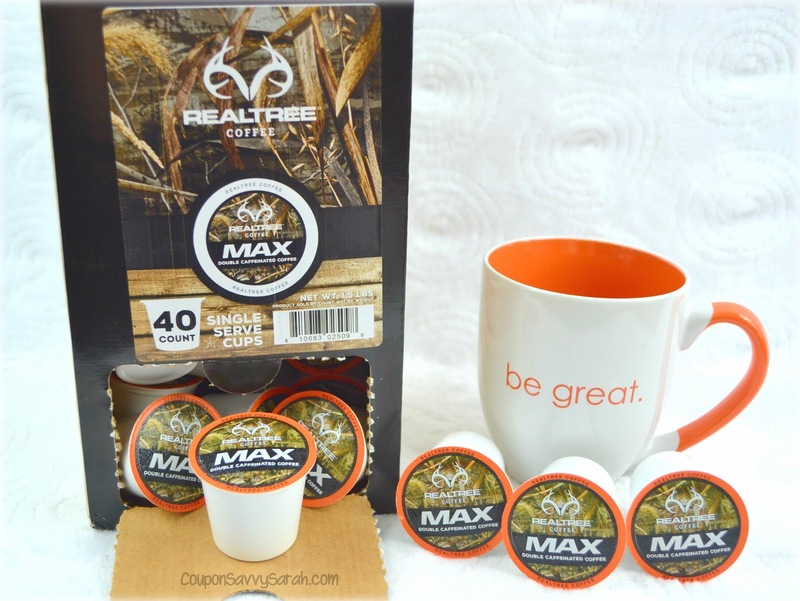 Enter to win a 40 Count Box of Single Serve Cups of Realtree MAX Coffee! Giveaway Ends 6/18/17 - Just Enter on the Rafflecopter Form below! 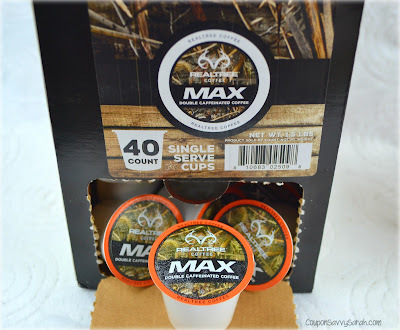 this MAX coffee sounds great!!! This would be for my mom if I won, as I don't drink coffee. But I think she would like xtra or timber. 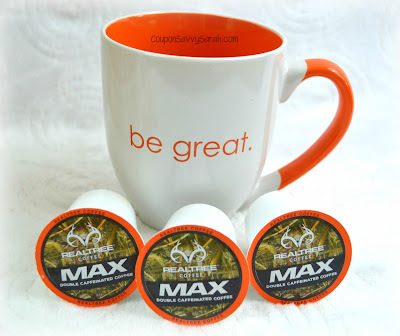 The MAX Double Caffeinated Blend sounds good to me. I probably would go with the MAX. My hubby works nights and sometimes (most times) he needs more caffeine to get him up and ready to go. I'm curious what Blaze would be. MAX. My friend Mark would LOVE this! I've tried the Timber and it was delicious, the Blaze sounds like one I would like too. I'd like the Buckshot Blend. Would like to try the MAX. The Max is my favorite. I think I would like the Timber the best...I like a medium roast!